What value is there in #telematicsdata to #insurers and #oe manufacturers. ​In a recent report KPMG called it the ‘chaotic middle’, the period of rapid transformation in insurance where the prospect of the autonomous vehicle is changing the flow of risk. On the one hand we see the vehicle OEMs becoming high-tech players with robust plans for new capabilities with data. BMW with its Car Data platform and Tesla with Autopilot data (recently updated to include video) are just a couple of examples. 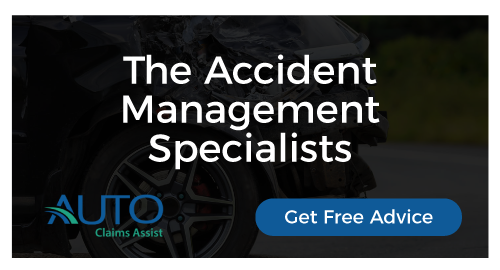 Service providers, such as the repair shops, insurance companies and fleet managers, can register with BMW CarData, and, similar to smart mobility initiatives from Ford®, Kia®, Mitsubishi, GM and others, the customer must give their consent prior to any sharing of telematics data. The new sensor suite on Tesla’s second generation Autopilot has eight cameras, all-around ultrasonic sensors, and a forward-looking radar, which means a lot more data to gather and ingest. On the other hand we see insurers moving forward fairly slowly with their telematics insurance offerings and their innovation around the telemetry data. Full-scale testing of autonomous vehicles has already started in some cities, with others planned. Autonomous technology will continue to make cars safer and reduce accident frequency. However, in the short term at least, with rising repair costs of high-tech, advanced vehicles, the claims ratio will not necessarily work to the benefit of the consumer in the form of lower premiums. Over the long-term, the scenario of safer vehicles and slowly improving claims ratios could generate – depending on which actuarial model is being followed – up to a 90% reduction in loss frequency globally by 2050. KPMG estimates that the result of this will be an overall drop of 71% in insured losses in the US by 2050, equivalent to $137 billion in premiums, in nominal dollars. Analyst firm Ptolemus forecasts that the shift to usage-based insurance powered by telematics will be worth premiums of $290 billion by 2030, representing almost half of the world’s vehicles. The vehicle OEMs are well placed to leverage new strategic positions around customer services and relationships with insurers. It is vital, therefore, that the insurance industry looks ahead to its future strategic position as experts in risk services, actuarial science and making sense of complex data – the area where our global LexisNexis Telematics Exchange is playing a role in bringing partners together. In the traditional insurance model, the automaker doesn’t come into contact with risk data for the purposes of insurance underwriting. But their position, as holders of product liability and legal liability for the autonomous or semi-autonomous vehicle, is changing all of that. We see that the pace of the transformation is accelerating. Car makers are busy clocking up ‘shadow miles’ and gathering data for their own purposes. Following the release of its Autopilot in late 2015, Tesla confirmed its vehicles had gathered data on 47 million real world autonomous miles within six months. Deep learning acquired from these trials is allowing the refinement of algorithms and other advances that are leap-frogging past the existing models. Further testing of the self-driving fleets will only improve the risk analytics to the point where traditional insurance and autonomous vehicle insurance will converge at some future date. Sophistication of vehicle technology, and the vehicle OEMs’ ability to use data from it, are increasing with each iteration of new vehicles from the manufacturers. Volvo has introduced an advanced version of its Pilot Assist system, which enables the SC90 model to maintain its position within a line and tracking the vehicle in front, all without driver input. Ford is set to launch the Electronic Emergency Brake Light (EEBL) — important in a dense driving environment — and the Green Light Optimal Speed Advisory (GLOSPA) for improving traffic flow and displaying the time until the next green traffic light phase. All the OEMs have active projects to monetize vehicle data in some shape or form: for predictive maintenance, networked parking payments, usage-based tolls, usage-based taxation, scoring or other monitoring, in-vehicle services, remote immobilisation, tracking and emergency alerts. 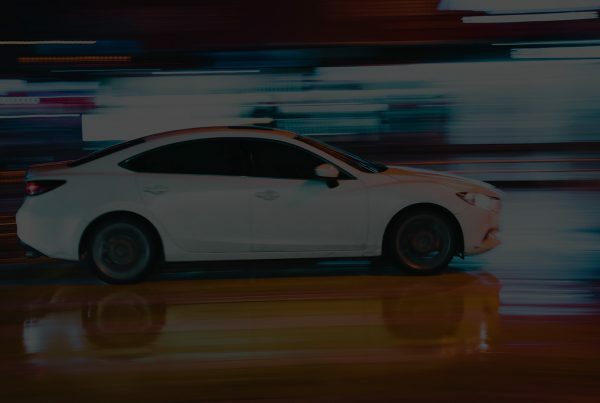 At LexisNexis Risk Solutions we are partnering with several of the global vehicle OEMs for various aspects of the connected car and usage-based insurance solutions. Meanwhile the gap in vehicle technology to achieving full autonomy is becoming smaller. We recently commented in another blog about how vehicle-to-vehicle (V2V) communication and vehicle-to-everything (V2X) communication will build up, creating a web of information between cars and street infrastructure – within all of which insurers will need to find their role. In addition, there is a rather unknown calculus in the transformation of motor insurance data, which is the rise of car clubs, ride sharing and ride hailing in society (Car-as-a-Service), which will have an effect of the insurance relationship to individual vehicles. There is a huge opportunity in gathering, harnessing and aggregating driver information. Those insurers that put themselves at the heart of these challenges will be the ones to gain competitive advantage, by being better able to assess and underwrite risk, to prevent fraud, manage the new types of claims processing, and to keep locked into the consumer relationship. There is a need for insurance companies to think big (globally) in terms of evolving vehicle technology, but at the same time think small, in terms of the micro-steps in processing information. Clarity of vision and a plan are going to be vital in dealing with potential disintermediation of vehicle data. And the original article can be found here.